"It is only with gratitude that life becomes rich." Rhonda says, " Gratitude is riches and complaint is poverty; it's the golden rule of your whole life, whether it's your health, job, relationship, or money. The more grateful you can be for the money you have, even if you don't have very much, the more riches you will receive. And the more you complain about money, the poorer you will become." Page 95, The Magic. Today's assignment is meant to turn us into money magnets. So how do we do this? We must take any current unpaid bills, "use gratitude's magic power and write across each one: Thank you for the money. Feel grateful for having the money to pay the bill," whether I have it or not. We are also suppose to take ten bills that are already paid and write on each one; "Thank you - Paid." 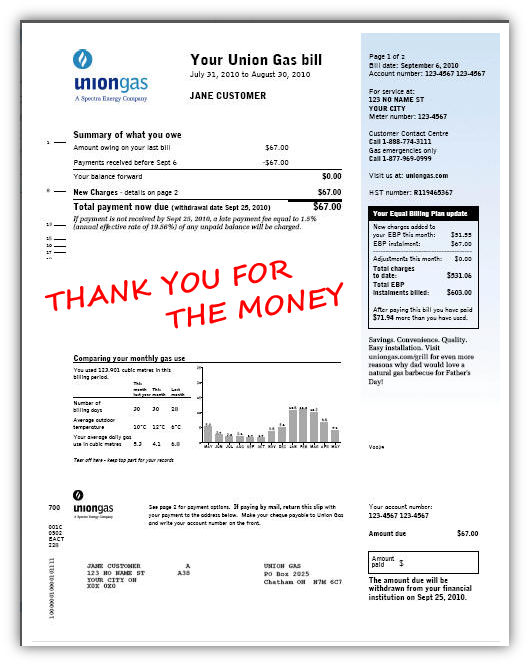 and feel grateful that we had the money to pay the bill. I am most grateful that I was able to see my youngest Granddaughter, Lexi because I don't see her nearly often enough as I would like. Ever since Beth moved to a different city, we don't get to see her or Lexi very often. They call a few times a week. Lexi ends up crying. She misses me and her cousins. I am grateful that Lexi is allowed to sleep over again. To my Mom for taking Faith, Sidney and I out for the day because it is good to get out of the house once in awhile or I would go stir crazy. Thank you, thank you, thank you. For the rain we got today because the farmers really need it. I know my lawn and gardens are happy. Thank you, thank you, thank you. To my Mom for taking the girls and I out for supper because it means less dirty dishes to wash.
That Gary's cousin has moved into his own place because we have our family room back to enjoy as a family. Thank you, thank you, thank you. For our television. We have been watching it as a family more often. Thank you, thank you, thank you. For Cole bathing the girls tonight because it is a nice break. Thank you, thank you, thank you. For the grapes and cherries that Sidney, Faith and I enjoyed together at snack time before bed because it nice to have something nutritious and delicious. :) Thank you, thank you, thank you. For the clean, warm running water so that I could enjoy a wonderful, refreshing shower to clean up. Thank you, thank you, thank you. For my washer and dryer because it makes it so convenient to wash and dry our clothes. Thank you, thank you, thank you. For the new books, new for us, we bought at Take a Second Look. They only cost thirty-five cents each. We - I look forward to reading new stories to my Granddaughters. Thank you, thank you, thank you. As soon as I get another bill I will write on it in bold red letters, "THANK YOU FOR THE MONEY." and as soon as I pay it I will write, "THANK YOU, PAID." Yep, that's the ticket. And it shall be done. 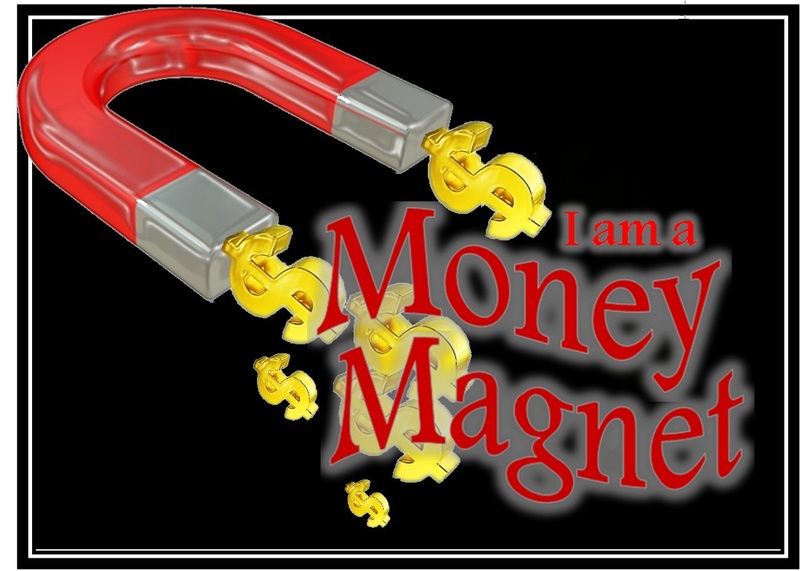 I want to be a money magnet. What about you? Please leave your comments. I really really want to hear from you. I would be very grateful, I promise.